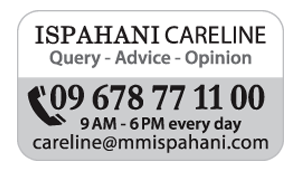 The Ispahanis have been involved in business in South Asia since 1820. Mirza Mohammed Ispahani established the Calcutta office of M.M. Ispahani & Sons in 1900. Mirza Mohammed Ispahani’s eldest son, Mirza Ahmed Ispahani, joined the partnership in 1918 and, with his younger brothers, Mirza Abol Hassan Ispahani and Mirza Mahmood Ispahani, established the private limited company, M.M. Ispahani Limited, in 1934. In 1947 the corporate Head Office was moved to Chittagong, where it stands today. With corporate offices in Chittagong, Dhaka and Khulna and, through its tea, textile, jute, property, poultry and shipping divisions, the Group employs approximately 10,000 people. The Ispahani Group is a pioneer in many fields and remains one of the most successful and respected business houses in Bangladesh. It is the largest tea trading company in the country and dominates the domestic tea market, capturing approximately 50% of the national branded tea market and 80% of the branded tea-bag market. 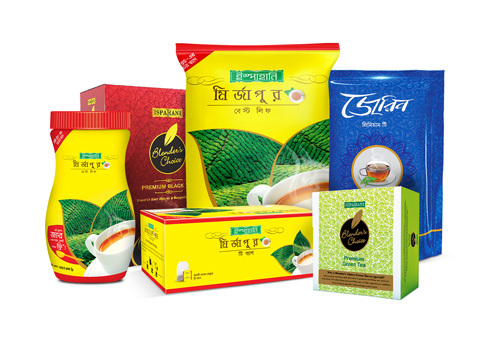 Ispahani Tea is renowned all over Bangladesh and its best selling brands such as Mirzapore Best Leaf and Mirzapore Double Chamber Tea Bags are household names. The company has an unrivalled distribution network of over 517 sales centers under 25 Divisional offices in Chittagong, Dhaka, Dhaka North, Dhaka West, Pabna, Habiganj, Bogra, Barisal, Comilla, Khulna, Kushtia, Mymensingh, Rangpur, Dinajpur, Sylhet, Dhaka South, Dhaka East, Kishorganj,Tangail, Chittagong South, Chittagong North, Jessor, Rajshahi and Faridpur. It also owns four of the finest tea gardens in Bangladesh: Ghazipore, Mirzapore, Zareen and Neptune, all of which are equipped with state-of-the-art tea manufacturing machinery. Corporate and Social responsibility form a large part of the Ispahani philosophy. Throughout our history we have endeavoured to support and advance worthwhile causes. We have established schools and colleges in Bangladesh as well as the renowned Islamia Eye Institute and Hospital. The latter is a centre of excellence for providing modern, efficient and cost-effective eye care, including heavily subsidised rates for poor patients. With a specialist line up of up to 50 ophthalmic surgeons, as well as doctors, trained nurses, paramedics and other staff, Islamia Eye Institute and Hospital has been looking after the eye care needs of hundreds of thousands of Bangladeshis since its inception in 1960. Furthermore, the Group sponsors various cricket, football, golf and tennis tournaments as well as the National Cricket League. Today, after decades of business in South Asia, the Ispahani Group is still dedicated to providing high quality goods and services as well as having a positive impact on the community at large.